We’ve been in Zurich for 6 months and quickly figured out skiing is the national sport here. Shops are closed on Sunday but as soon as you see a tiny weeny ray of sun, people rush to the slopes. In fact even when it’s still snowing they do. From as little as an hour drive away from Zurich City you can already be in a ski resort. I felt a lot of pressure to enrol the kids to ski school. You have to do it on 1st Novembre and the kids attend lessons every week end from January to March. It’s what kids do here. It’s like the Nippers in Australia, all morning at the beach training in the waves from 6 years old. Our kids are born in Sydney and haven’t seen the snow up until late December this year. My 6 years old liked it and went down to luge trips around the corner from our house regardless of the weather. His brother though didn’t enjoy it at all: “it’s too cold” he said and even refused to hop on the luge. And I believe that if you’re not motivated by the thrill of the ride, then you won’t be able to handle the cold, cumbersome equipment and all that hassle. I also took my 3 year old ice skating in a place full of beginners and gliding bears you can hold on to. Nope he didn’t like it. So we really wanted to make sure their first ski experience was a fun one, so short term they have the motivation to learn and improve their skills and long term we could all go skiing together and agree on holidays at the snow! 2. Keep enjoying your lazy Sunday morning. Ski schools start at 10am so on the first day you have to be there at 9.30am, rent your boots and ski etc… that means you wake up no later than 7.30am just like on school days, gulp down your breakfast and get dressed with hundreds of layers to make sure you’re warm enough on the slopes. Then you leave at 9.15am and rush rush rush. We didn’t want any of that. We enjoy our lazy week end. We want to have the choice to only go when it’s sunny and enjoyable. We take our time to wake up, play a little bit (kids are only allowed to play Skylander on the plays tain on week-end), have breakfast, make my Moccha coffee with milk froth and chocolate, clean up and leave around 10am to arrive there at 11am. My 3 year old has been crying and whingeing every morning he had to go to school. He still sneaks into our bed in the middle of the night (and that’s the topic for a whole other post). We didn’t want to leave him with a ski teacher all morning, crying and perhaps associating skiing with being left alone. Where to eat? On popular demand (of my 3 year old) we went back to Muller’s Restaurant with its comfy room, view on the sunny mountains, mega clean toilets and ice cream dessert with smarties (my son’s main driver). He enjoyed it a lot, is proud of his achievement. 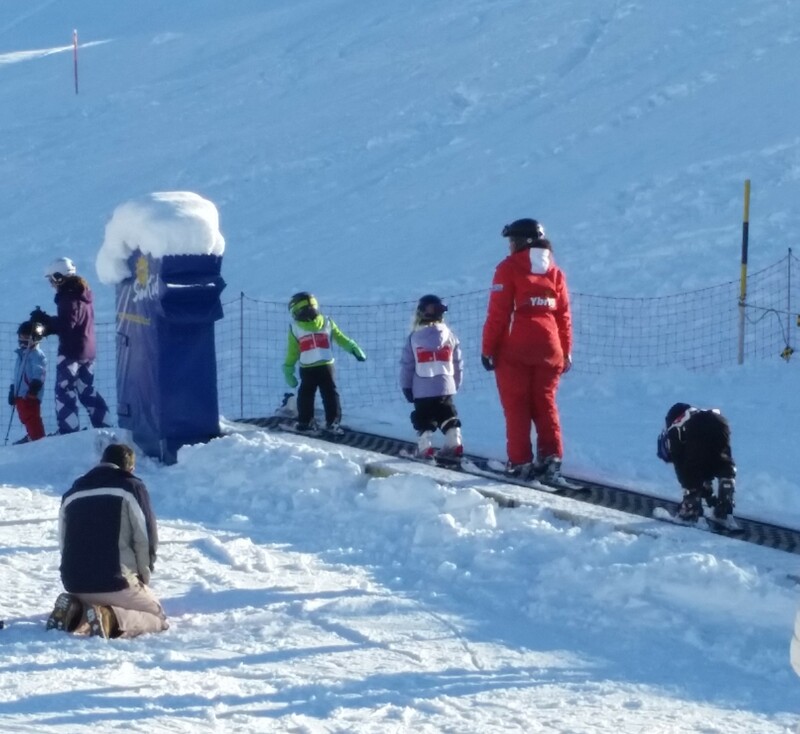 I was watching lessons around me, one was with 8 kids and by the time the instructor lined up all the kids, Arthur would have gone down the slope 3 times. One lesson was with 3 kids and they learnt a bit more technique but I’m glad we did what we did, sacrificing one sunny afternoon to support the kids and make them feel good skiing. Now our time to enjoy! Our plan is to go for one week holidays in a Kinder Hotel where kids will all be taken care of and ski lessons are all part of the resort. I hope they’ll enjoy a lot more. Once you enrol to a ski class for he season, you are stuck there. Here we can choose and visit different places with their various kids play areas and magic carpets, various sceneries and journeys to get there from Zurich Cities. 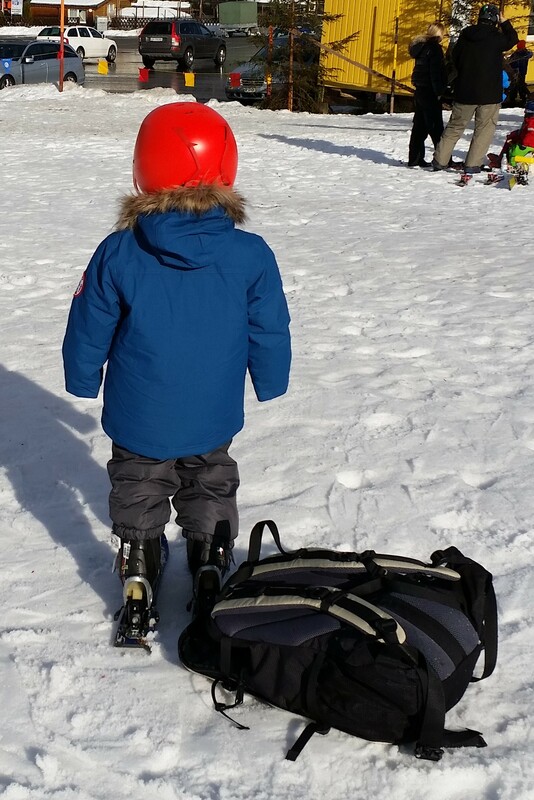 TIP: We hired boots and skis for the kids for the whole season (return by June 2015!!!) so we just leave them in the car boot and can go skiing anywhere we like. So far we’ve been to one station twice and highly recommend it for beginners. It’s Oberiberg part of Hoch Ybrig. 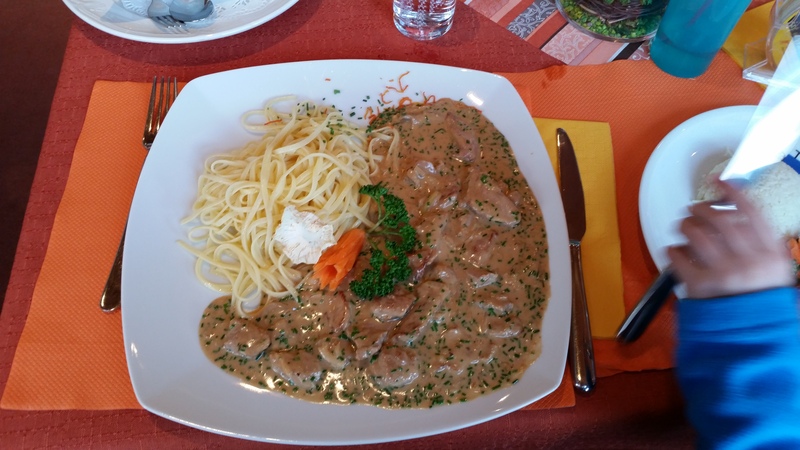 Read more about the journey, where to eat and where to hire skis in Oberiberg. Next article Paris with a 6 year old?